Based on the latest news and scientific data flows, Climate, the 360° Exhibition tells more about causes of climate change. It has been on display in more than 15 countries around the world so far and comes to Bulgaria for a first time. The exhibition can be visited every working day till December 20th at BNP Paribas Concept Store in Sofia. The exhibition is supported by the BNP Paribas Foundation and organized in partnership with The United Nations Environment Programme, Embassy of France in Bulgaria, French Institute in Bulgaria and Sofia Municipality. 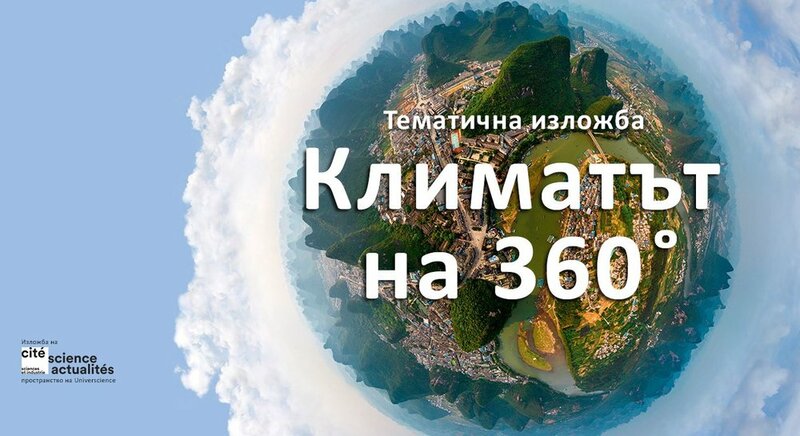 Parallel to the Climate, the 360° Exhibition, a thematic film panorama was organized at the French Institute in Sofia. Its program included exciting movies, telling more about Earth’s splendor, climate change and the relationship between humanity and the planet. We are glad PR Point has been in charge of the execution of these events. Posted on November 22, 2018 by Galin Borodinov. PR Point has finished its work on a campaign promoting the EU investments in the country. The implementation was based on media opportunities for creation of a strong editorial content featuring stories about EU funded projects. The implementation of the PR programme in Bulgaria ranks amongst the top results for all EU member states in terms of generated publications along with significant share of the target group who recall the promoted stories and an increase in individual perception of positive EU funding impacts. The PR programme under #investEU campaign in Bulgaria was awarded with a medal of the Bulgarian Association of Public Relations Agencies (BAPRA) annual BAPRA Bright Awards in “Communications Campaign in the Public Sector” Category. Posted on May 10, 2018 by Galin Borodinov. Shooting the filed workers in the Rose Valley. Ina Ltd a small essential oil maker from Panagyurishte, has bought modern rose oil distillation equipment with help from EU funds and has thus achieved a 13-fold increase in export. As a result the company is seen as a reliable essential oil supplier for both local and international brands. One of the stories featured in the #investEU campaign. Posted on May 31, 2017 by Galin Borodinov. More than 20 children from foster families as well as TechARTnology scholarship students from socially disadvantaged families were given by Luxoft branded backpacks with school supplies. The popular basketball trainer Konstantin Papazov was a special guest of the initiative promoting healthy and active life style. He organized a contest for several teams composed of children and Luxoft’s employees. The charity event was organized in partnership with Bulgarian Foster Care Association and Be Creative Foundation. Back to School event is part of the policy of Luxoft Bulgaria to assist actively the improvement of the social environment. Posted on September 21, 2016 by Galin Borodinov.